Graduate SchoolSpotlightsAlumna Spotlight: Brooke Zanetell, Ph.D.
Alumna Spotlight: Brooke Zanetell, Ph.D.
Brooke Zanetell is an alumna of the natural resources program at Cornell from which she holds an M.S. and a Ph.D. Prior to attending Cornell, she earned her B.S. in biology at the University of Colorado Boulder. 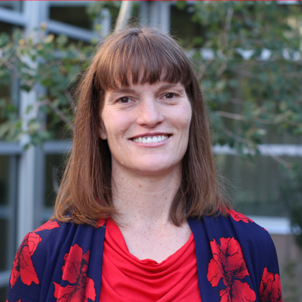 Since leaving Cornell, she worked in the U.S. Department of State in Washington, D.C., and has become an assistant professor in the natural resources program at the University of New Mexico–Taos, which she worked to create. I quit a job as a science advisor in the U.S. Department of State in Washington, D.C., to move back to the Rocky Mountains. I wanted to work with real rivers and real fish. It was a very irrational decision. I “landed in Taos, N.M.,” as they say, and rebuilt a life with my new husband. Soon, I got the itch to use my experience and knowledge and began teaching at UNM-Taos. I realized there was an opportunity to create a program in natural resources management, applied for the USDA grant, and the rest – or the last five years – is history. You received a USDA grant that allowed you to create the UNM-Taos Natural Resources Program. Can you tell us more about the program? Encircled by public land and home to several land management offices, UNM-Taos was the perfect location to launch an academic/career track in natural resources management. Through a United States Department of Agriculture Natural Institute of Food and Agriculture (USDA NIFA) grant, the Northern New Mexico Climate Change Corps (CCC.UNM.EDU) was created in 2014 for students to gain climate change knowledge, work experience through internships, and to complete B.S. degrees in forestry, geology, or biology. The CCC has served 46 students (40 percent female, 60 percent male, 48 percent first-generation, 67 percent Hispanic, and 11 percent Native American). Program graduates have 100 percent job placement! These results led UNM-Taos to officially create a new program in natural resources management! My Cornell training is fundamental to all my current and future successes. My passions and capacity were groomed and molded into the habits, skills, and judgment of a highly effective person. This does not make me unique. It is something we Cornellians have in common. Starting with Ezra Cornell’s vision, the morally-grounded ambitions of our predecessors, and the dedication of our advisors and mentors, we leave Cornell with the skills and determination to do good in the world. I am very grateful. Cornell honed my inherent skills in team-building, communication, and writing. I learned simple and practical things like how to make an award-winning presentation. I learned that I could be stretched beyond what I thought I could possibly do and how to persevere against odds to complete a goal. I learned to listen to the rich diversity of voices at Cornell and to apply them to specific situations. And, I learned that the graduate students in the department of natural resources really could hold a Disco in Fernow (Hall). Lastly, my Cornell friends continue to support and enrich my life. Be brave and try, try again is my advice to graduate students. My former advisor, Dr. Barbara Knuth, once told me that she had written more letters of recommendation for me than for any other student. I applied for all relevant grants and opportunities that crossed my desk. If I had given up after the first no, I wouldn’t be anywhere. After all, it only takes one yes. Through those multitudes of applications, I’ve been honored as a Fulbright Fellow, an AAAS Diplomacy Fellow, and received grants that funded travel, research, and teaching.